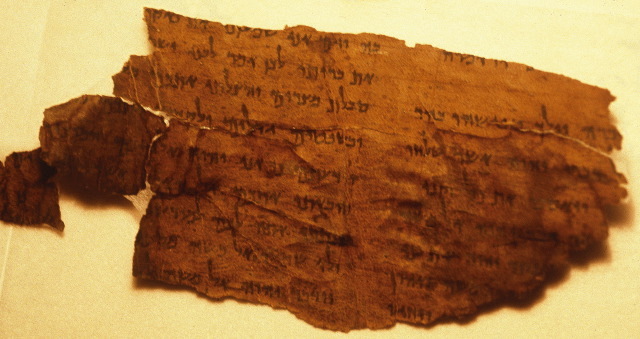 GENIZA FRAGMENT OF THE MONTH (OCTOBER 2018): The strange Hebrew of a blessing for the Prophets: T-S K6.113 (Nadia Vidro). Biblical verses used in medieval texts of various genres often exhibit spellings different from those of the Masoretic text. The majority of these deviations are relatively minor and involve the plene spelling of vowels that are written defectively in the biblical text. Recently, I came across a curious text consisting of three biblical verses written with drastic deviations from the standard biblical spelling. The text, preserved in T-S K6.113, fol. 2v, contains a blessing for the reading of the haftarah. It is entitled ‘the blessing for the Prophets’ and made up of Hosea 12:11, Amos 3:7, Isaiah 59:21. The text is written in a careful hand that makes the impression of being not very experienced in writing Hebrew. What follows is technical. But it's a fun little mystery, if you like that sort of thing.